Summary: A new study reports mental sharpness begins to decline in some women as early as in their 50’s. UCLA researchers have found that mental sharpness in women begins to decline as early as their 50s. The study, which followed the same group of healthy women for 10 years after menopause, found that their average decline in mental processing ability was 5 percent during the decade-long period. Cognitive processing speed, which includes speed of perception and reaction, showed an average decline of around 1 percent every two years and verbal memory declined on average around 1 percent every five years. Previous longitudinal studies in midlife women had failed to consistently detect these cognitive declines. For this study, the researchers accounted for what are called “practice effects,” which is when repeat testing using the same tests in the same individuals influence the results. Practice effects mask some effects of the menopause transition. In this way they were able to uncover evidence of declines in two domains of cognitive functioning — processing speed and verbal memory. Women in their 40s and 50s who find they are forgetting things more often or think they are slower to react may only be experiencing usual aging. NeuroscienceNews.com image is for illustrative purposes only. Funding: SWAN has grant support from the National Institutes of Health (NIH), the National Institute on Aging, the National Institute of Nursing Research and the NIH Office of Research on Women’s Health (Grants U01NR004061; U01AG012505, U01AG012535, U01AG012531, U01AG012539, U01AG012546, 01AG012553, U01AG012554, U01AG012495). 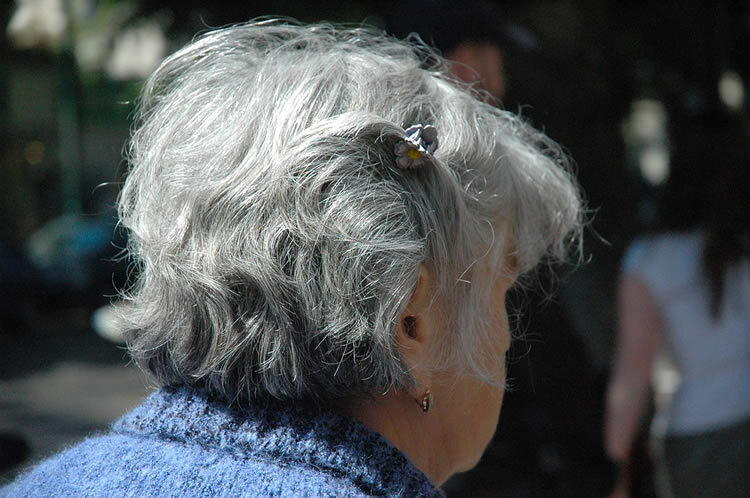 UCLA “Women’s Cognitive Decline Begins Earlier Than Previously Thought.” NeuroscienceNews. NeuroscienceNews, 20 January 2017. UCLA “Women’s Cognitive Decline Begins Earlier Than Previously Thought.” http://neurosciencenews.com/female-cognitive-decline-neurology-5981/ (accessed January 20, 2017). Although cross-sectional studies suggest that cognitive aging starts in midlife, few longitudinal studies have documented within-individual declines in cognitive performance before the seventh decade. Learning from repeat testing, or practice effects, can mask the decline in younger cohorts. In women, the menopause transition also affects test performance and can confound estimates of underlying decline. We designed this study to determine if, after controlling for practice effects, the menopause transition, and the symptoms associated with it, there is evidence of cognitive aging in midlife women. We used data from a longitudinal observational study in 2,124 participants from the Study of Women’s Health Across the Nation. Outcomes examined were scores on annual tests of processing speed, verbal episodic memory (immediate and delayed), and working memory. To reduce the impact of practice effects and of the menopause transition, we used the third cognition testing visit as the baseline. Average age at this baseline was 54 years, and the majority of the women were postmenopausal; half the cohort was 2 or more years beyond the final menstrual period. There were 7,185 cognition assessments with median follow-up time of 6.5 years. In mixed effects regression, adjusted for practice effects, retention, menopause symtoms (depressive, anxiety, vasomotor, and sleep disturbance), and covariates, scores on 2 of 4 cognition tests declined. Mean decline in cognitive speed was 0.28 per year (95% confidence interval [CI] 0.20 to 0.36) or 4.9% in 10 years, and mean decline in verbal episodic memory (delayed testing) was 0.02 per year (95% CI: 0.00 to 0.03) or 2% in 10 years. Our results provide strong, longitudinal evidence of cognitive aging in midlife women, with substantial within-woman declines in processing speed and memory. Further research is needed to identify factors that influence decline rates and to develop interventions that slow cognitive aging.